Late bottled means bottled after 4, rather than 2 years in wood. This LBV is a rich, concentrated port from one good harvest, which has been aged for 4 years in wood. The word 'traditional' means that it is bottled without any filtration or refrigeration so that the wine can continue developing in the bottle before it is released for sale, two years later. At the end of the bottle ageing period, it is ready for immediate drinking. 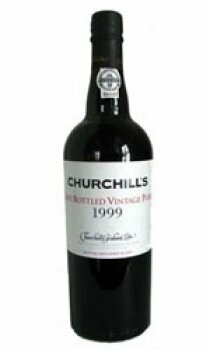 or alternatively, and this is purely optional, it can be cellared for a few more years to acquire one of the more pronounced characteristics of Vintage Port, which is a 'bottle nose' - at which stage it may have formed a sediment and require to be decanted. Using dark coloured glass bottles, as for Vintage Port, and driven corks so that the wine can be laid down horizontally in a private cellar. 'Medium, full body. Lots of fruit. Medium tannin. Medium sweetness. Reminiscent of black fruits, leather, sweet tobacco. Classy and rich with youthful character prevalent' - The Wine Enthusiast - LBV Champion - 91 points (1990). 'A very fresh LBV, with violet, berry and cherry character. Medium-bodied and medium sweet, with a fresh fruit aftertaste. Delicious. Drink now." - James Suckling - Wine Spectator.